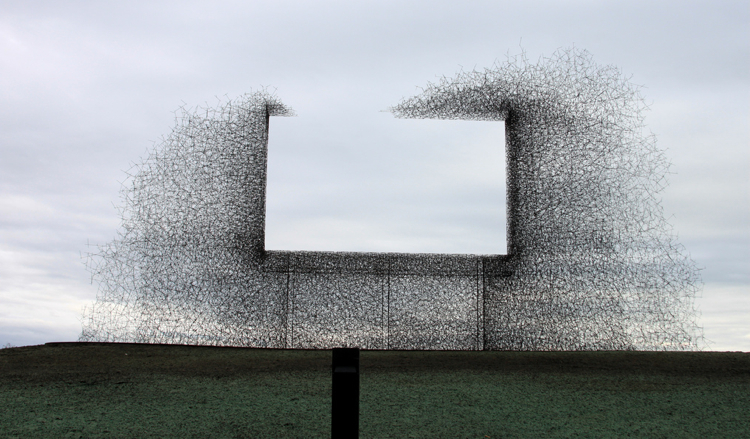 The government funds an art piece that comments on advertising. Tea Partiers: Is this proof that the U.S. is run by Commies? 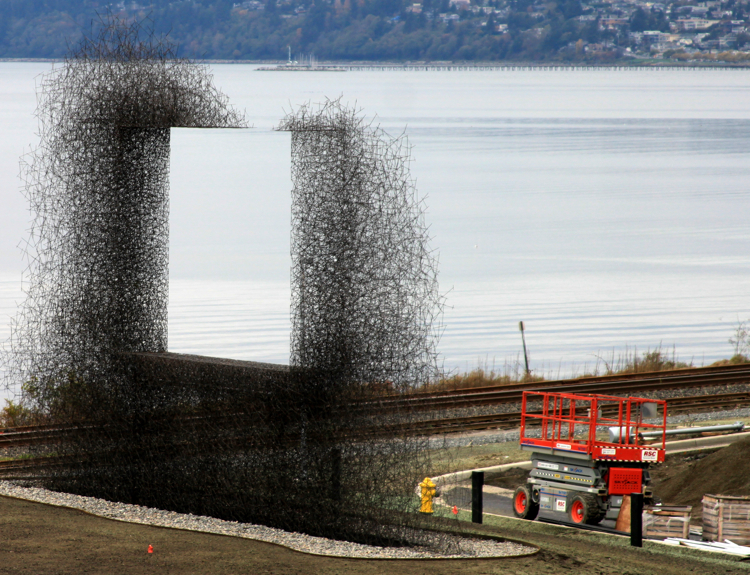 A provocative new sculpture has opened at the U.S.-Canada border crossing near Vancouver, BC. 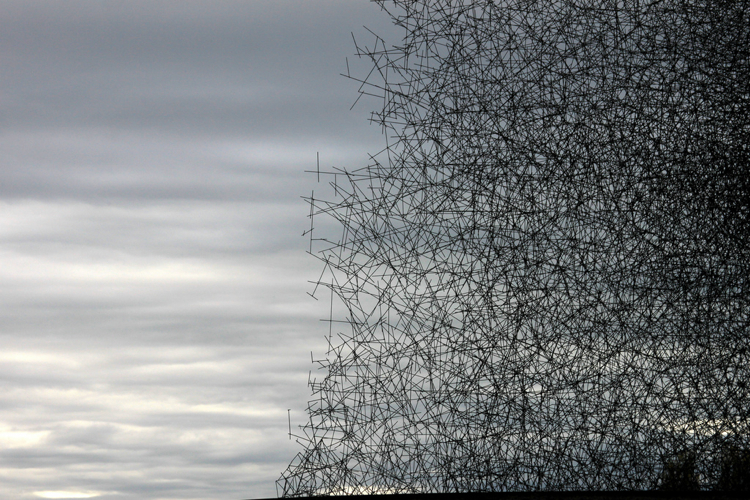 It’s a billboard advertising…well, nothing. So instead of your usual glimpse of cheeseburgers and red-faced car salesmen, you’ve got a snarl of stainless steel rods vaguely reminiscent of TV static, but surrounding only the clean air of Blaine, Washington. Clearly it’s some kind of pinko Canadian stunt, right? A passive-aggressive commentary on Americans? conspicuous consumption? Wrong! 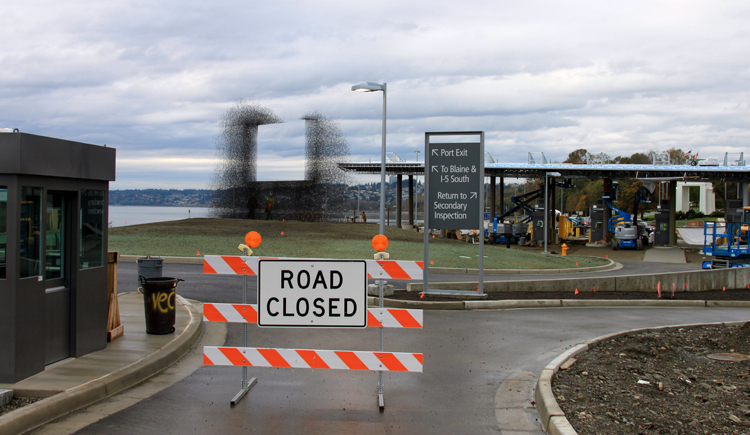 Non-Sign II is the brainchild of the Seattle art and architecture firm Lead Pencil Studio. Even crazier: It was commissioned by the federal government, which usually regards high art the way one would a dead rat. Which sounds nice and poetic and non-threatening, but clearly, this thing is a monument to everything America’s not. Hey, Tea Partiers: The commie conspiracy has arrived at last, and it looks like a big ol’ pile of hair clippings! 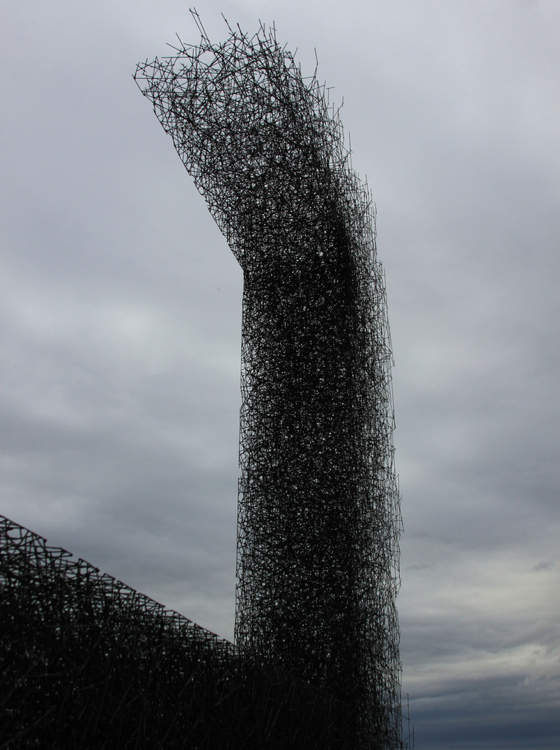 Well, we think it is awesome, and we’re elated that the government’s supporting Lead Pencil Studio. Headed by Mihalyo and Annie Han, they’ve built a career on blurring the divide between architecture and art; questioning the idea of consumer culture has been a recurring theme. They’ve produced a raft of evocative installations: outdoor scaffolding in the middle of the Oregon grasslands, full-scale shops (without any merch) in an old shop, and so on. Think of them as a sort of Christo in the age of Christine O’Donnell.